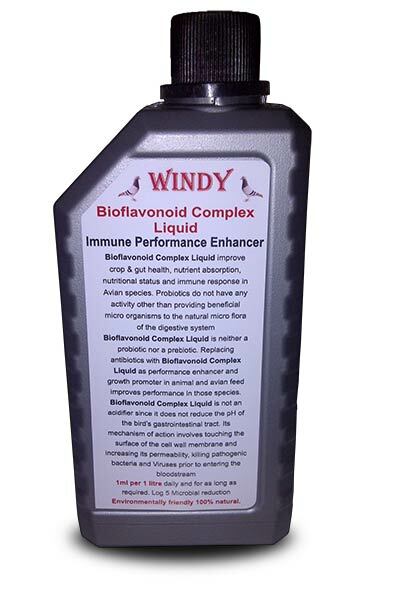 Bioflavonoid Complex Liquid improve crop & gut health, nutrient absorption, nutritional status and immune response in Avian species. Probiotics do not have any activity other that providing beneficial micro organisms to the natural micro flora of the digestive system. Bioflavonoid Complex Liquid is neither a probiotic nor a prebiotic. Replacing antibiotics with Bioflavonoid Complex Liquid as performance enhancer and growth promoter in animal and avian feed improves performance in those species. Bioflavonoid Complex Liquid is not an acidifier since it does not reduce the pH of the bird’s gastrointestinal tract. Its mechanism of action involves touching the surface of the cell wall membrane and increasing its permeability, killing pathogenic bacteria and Viruses prior to entering the bloodstream. 1ml per 1 litre daily and for as long as required. Log 5 Microbial reduction.